Envision two foxy Spanish females (or, you could just look at their picture in this post) and imagine them rippin’ on guitars and producing ridiculously catchy and raw garage pop songs. Sound like a dream come true? Well, wake up (!) ‘cus it’s time to get doe-eyed for: Deers. Oh, but guess what? Like all brand-new, hype-worthy bands, there’s not a whole lotta info about them just yet – Surprised? What we do know is the group hails from Madrid, and was started by BFFs Ana Garcia Perrote and Carlotta Cosials. 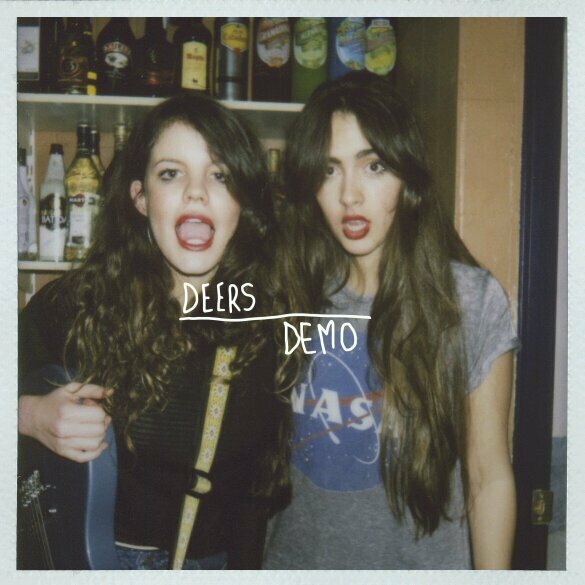 We also know their two-track demo debut is rockin’ and wowin’ and landed them as NME’s “Buzzband of the Week.” The duo also appears to be touring through Europe with two more rockin’ foxy fems added to the band mix.